Dactylorhiza fuchsii is a slender plant with a height of 15 to 40 cm. The 4 to 10 leaves are lanceolate and mostly spotted. The inflorescence consists of 10 to 60 flowers, tightly arranged in a conical inflorescence, and each supported by a bract as long as the ovary or longer. The spur is directed horizontally or bented downwards. Petals and the middle sepals form a small hood. The lateral sepals are spreaded. 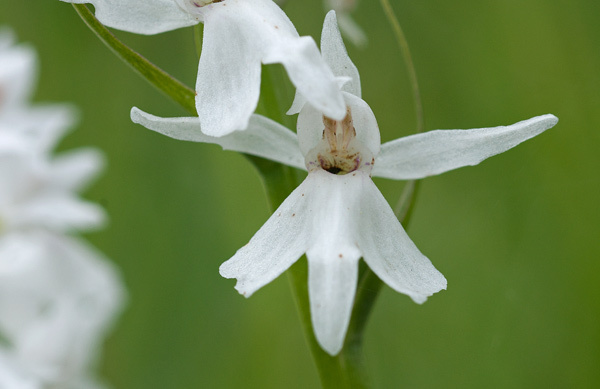 The broad and rounded labellum is three-lobed, with a prominent middle lobe. The loops on the lip form an ornamental design, sometimes they even cover the inner side of the lateral sepals. It was only in 1915, when George Claridge Druce (1850-1932) described this plant as Orchis fuchsii, thus honouring Leonhart Fuchs (1501-1566) who published a picture of the plant in his opus De Historia sirpium. 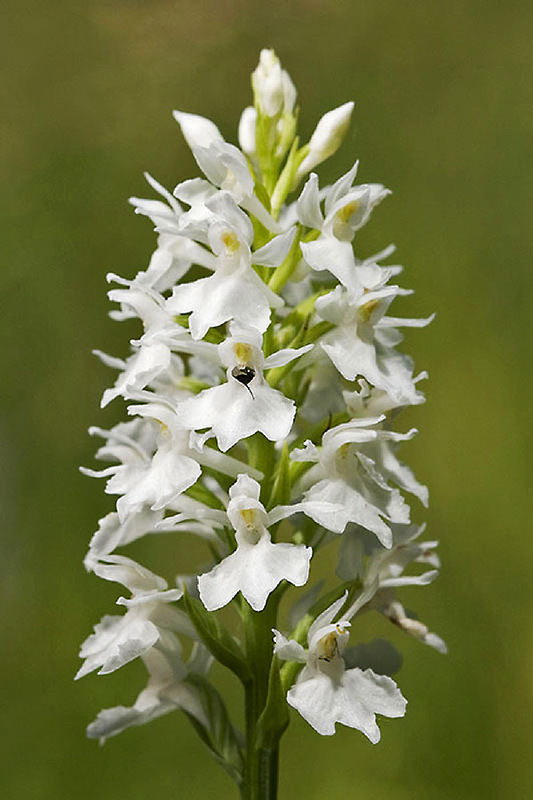 In 1962 the Hungarian botanist Károly Rezsö Soó von Bere defined it as Dactylorhiza fuchsii. The flowers of Dactylorhiza fuchsii are mostly pink to light-purple, but can range from white to crimson. Albiflora forms mostly have unspotted leaves. While the species seems to be rather stable in some regions (e.g. 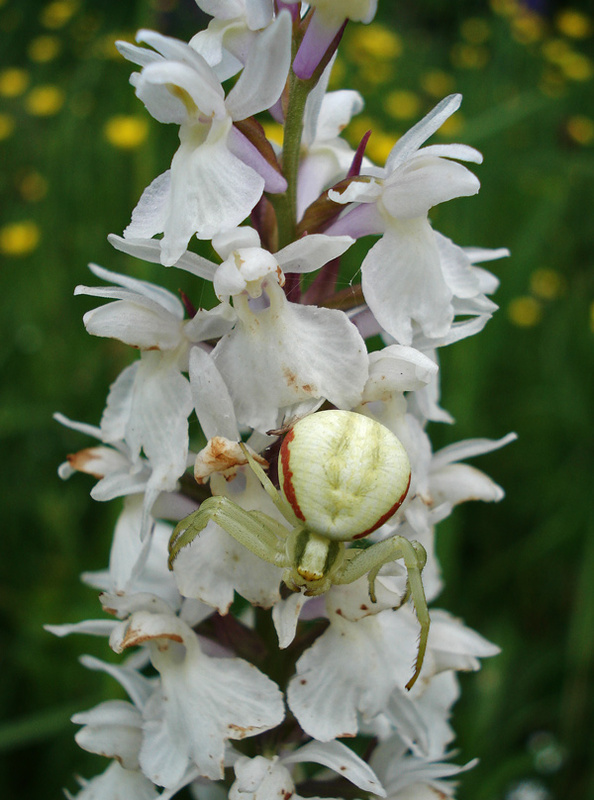 the forests in the Southern French Causses), in other regions Dactylorhiza fuchsii tends to be very variable with all possible flower colours between pink and white. In some parts of the Western Irish region of The Burren (s. the corresponding blog entry) there are even more white flowering plants than pink ones. The variety described as Dactylorhiza fuchsii var. okellyi (bottom photo) is characterized by a taller and very slender habitus, with a distinct appearance of spike or flowers. 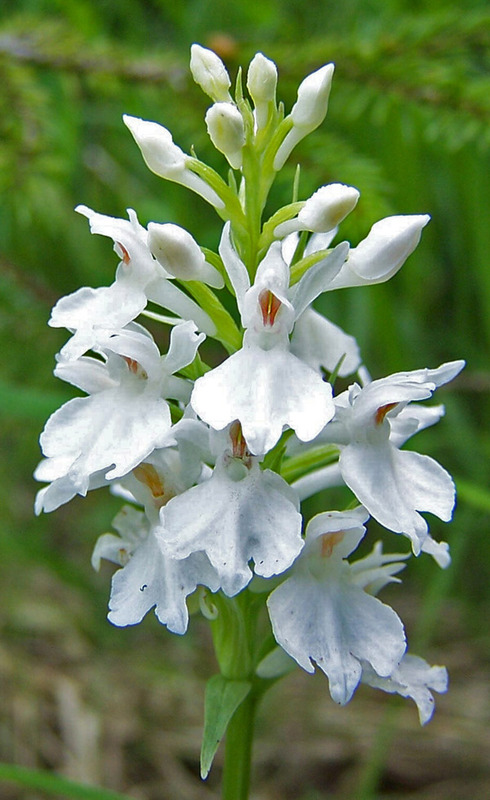 Dactylorhiza fuchsii is growing on dry or wet grasslands as well as in forests, up to 2300 m. Bloom is from June to July. 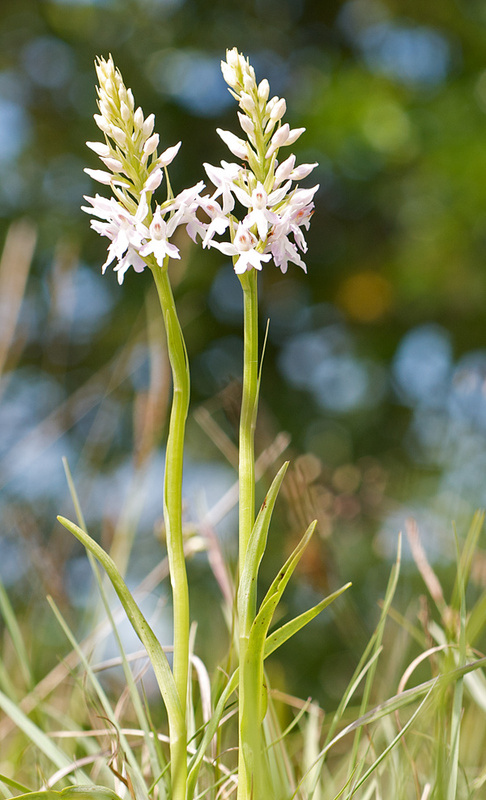 Since Dactylorhiza fuchsii is able to adapt to different conditions, its distribution covers most parts of Europe.